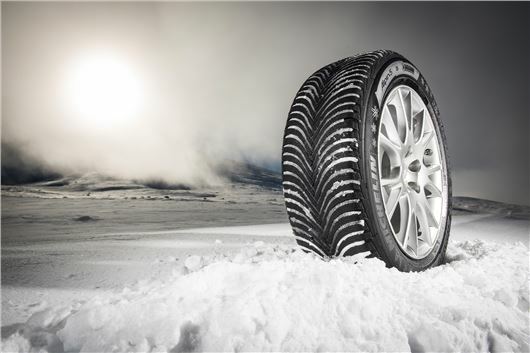 Michelin has announced the details of its latest Alpin 5 winter tyres, which are available to suit 15-17-inch rims of various sizes. The Alpin 5 sits between the previous Alpin 4 and the Pilot Alpin winter tyre, which is designed for larger tyre sizes and higher performance cars. The Alpin 5 uses a new tread patten designed to better disperse water and to provide a so-called ‘rack and pinion’ effect, which locks into uncompressed snow to improve traction. With this being a winter tyre it features sipes – 16% more than the Alpin 4. These further aid traction in snow. Furthermore the tread patterns has been designed to give a larger surface area than in dry conditions. Overall performance in all cold conditions – not just snow – has been improved over the old tyre thanks to a new tyre compound, which uses more silica than previously to make it more flexible at lower temperatures. Michelin is keen to point out that most drivers tend to drive on dry roads even in winter months, and that the latest Alpin 5 tyre is designed for these conditions as much as it is designed for wet and snow. It the rate the weather's going we might be needing these Winter Michelin Tyres soon! It just can't decide what to do... snow, rain, sun and then floods.